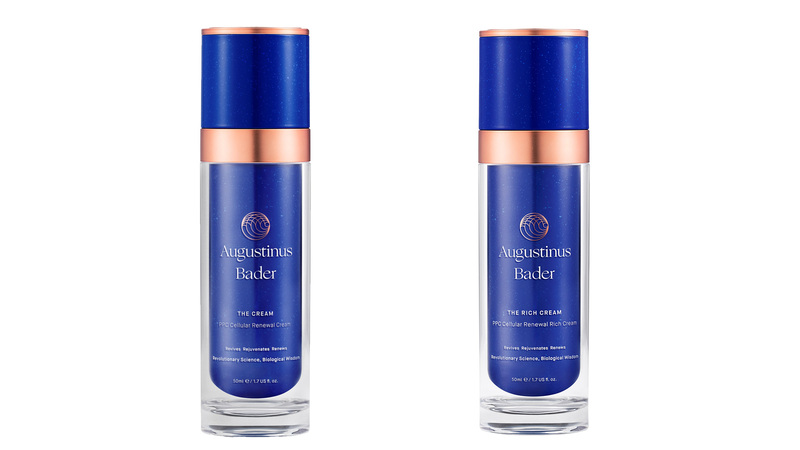 A brand that has gained celeb and beauty-editor interest quite quickly is Augustinus Bader. 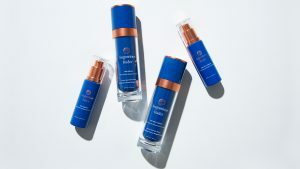 The super-duper scientific skincare brand is currently only made up of two products – The Cream and The Rich Cream – but it’s enough to completely convince some; with it being touted as the future of skincare. You’ve probably spotted the thin blue and rose gold bottles on your Instagram feed (where else?) last year, following the German brand’s initial launch in February 2018. 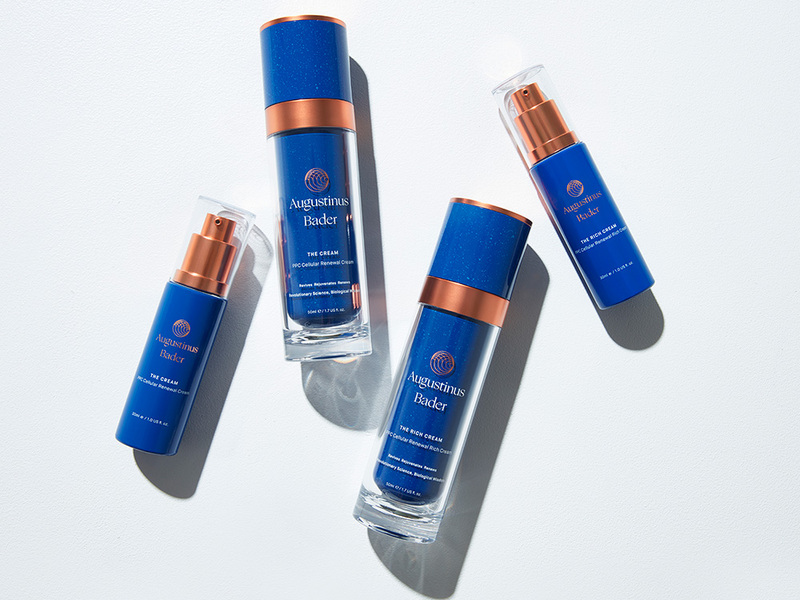 Created by Professor Augustinus Bader, a Director and Professor of Applied Stem Cell Biology and Cell Technology, the products are inspired by his extensive research into the healing process and treatments. He has dedicated years to helping develop treatments for burns patients, in particular creating a medical-grade Hydrogel that encourages scar-free healing. Using this breakthrough technology, he realised that it could help with a range of conditions – including skin concerns. And so the brand was created. The two iterations of the face cream are designed to appeal to your personal preference; both deliver active ingredients to the skin, boost cell function and improve the appearance of your complexion. The formula contains Professor Bader’s Trigger Factor Complex (TFC8®). In layman’s terms this is basically a mixture of natural amino acids, high-grade vitamins and synthesised molecules naturally found in the body that quite literally trigger your skin’s natural repair and renewal process, by ensuring your cells are getting the key nutrients and ingredients to create an ideal environment for regeneration. As we age our body’s natural ability to heal and regenerate declines, so the trigger complex ensures the skin gets the right ingredients to create the best healing condition. But what does all of that mean? When skin cells are able to repair properly wrinkles, fine lines, age spots and redness are reduced; skin tone is evened out and texture is smoothed. Which is what everyone wants right? It’s the ultimate anti-aging beauty product. One of the most interesting things is that the formula is said to be so complex, rich in ingredients and delivers such great results that it can be used alone, in the place of your normal toner, serum and moisturiser. The brand believe that it performs better without other products interfering. So whilst the high price point (£125 for 30ml, £205 for 50ml) might scare you, you wouldn’t have to buy the rest of your skincare routine on top of that. The question really should be: who doesn’t love it? It has been reported that Alexa Chung, Sandra Oh, Priyanka Chopra, Bella Hadid and many more have fallen head over heels for the brand. Diane Kruger got involved with the brand quite early on, Kate Bosworth is constantly uploading clips of her using the cream and Victoria Beckham loves it so much she had the models from her AW18 show all prepped with the products. If you give it a try, let us know how you get on. The post Augustinus Bader: what’s all the fuss about? appeared first on Marie Claire.